When I was in my teens, the only time I saw wine was during a wedding or a communion. The perception then, and the tale that I heard of wine from family and peers, was that it was meant to be a drink for the rich. Let me put it more precisely—‘A chick’s drink for the rich to enjoy’—so went the old adage. Has the perception of wine changed over the years? Let’s cut to the present. Recently, I went for a wine-tasting event conducted by Indus Wines at the Taj President, Mumbai. Indus introduced their three new wine brands dedicated to the “commoner residing in Mumbai.” Slices of bread and bread sticks were placed on the table for us to savour along with our wine. It felt like any sane wine-tasting event and then out of nowhere I was served a vada pav. The idea behind their odd proposition was to make wine available for the common man. The idea ‘Wine with Vada Pav’ is a bit out there, but is it really? Why can’t we have our wines mingle with our very own Indian delicacies? The reasoning is simple. Our attitude towards wine hasn’t changed; it is still perceived to be an elitist drink. Even with Sula Wines and Indus Wines coming up with low-priced wines, the total share of wine in the total alcohol market is still under 1%. That being said, India’s population is over 1.1 billion and 1% is not a bad piece of the pie, but compare wine consumption with that of whisky and beer and a totally different picture begins to emerge. According to a report on the Indian wine market by JBC International, a Washington-based consulting firm, the consumption of wine in the country is mostly by the elite. The report also recognises that the current Indian wine market has to compete with whisky that sells around 50 million cases, beer which sells 110 million cases and country liquor which sells 200 million cases annually. “Everywhere in India, we have ‘wine shops’, but there is hardly any wine available,” says Sula Wines vice-president, Pradeep Panchpatel. However, the scenario is slowly improving for the wine sector. 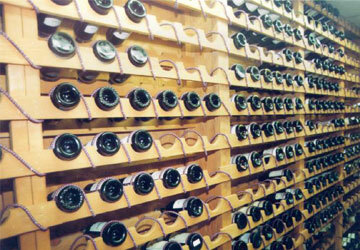 “The total sales of wines in ‘wine shops’ have jumped to 5%-10% from 1%-2% earlier,” adds Mr Panchpatel. There’s another reason why Indian wine sales are not going to touch a new high. Indians, on an average, don’t prefer to sip their alcohol and enjoy the feel that it gives them. They would rather cherish the kick that they get from their favourite intoxicant. “The problem with wine is that it isn’t intoxicating enough. With wine (for a ‘kick’) you need to drink the whole bottle,” says Sushil Raheja from Sunny Wines Suppliers. But winemakers are still going out of their way to promote wine. They are trying all sorts of things—from wine tourism, wine-tasting events, price-cuts and some are even propagating the health benefits of drinking wine. Ivy, a Château Indage restaurant and bar in Worli, wants to attract revellers by providing them with all the wine they can drink on New Year’s Eve and the next day, for just Rs500. However, the wine that will flow on both these days will be from the winemaker’s cheaper stable—brands like ‘Raging Bull’, ‘Silver Tone’ and ‘WinBallet’—and the tap will be turned off only at midnight. However, the industry faces a double whammy: unsold stocks of wines at various vineries are piling up due to last year’s recession and winemakers are also staring at huge losses. Sula Wines still has over 40%-50% of its wine lying unsold in its tanks, while Indus Wines has around 90% of its wine still in its inventory. Big players like Indage are facing financial losses. Ergo, winemakers will be forced to cut the prices of their offerings. “The market itself has forced these conditions. The downturn resulted in a slowdown in the sales of wine at the Rs400 plus level, and pulled down demand, and supply outstripped demand,” says Mr Samant.